With the new year finally upon us, it’s a little over seven months until Suicide Squad hits theaters. While 2015 did provide revelations about the movie’s lineup and what these characters have to offer, there’s still a lot we don’t know. Footage-wise, all we’ve seen so far is the Comic-Con first look, but with a new trailer coming in a few weeks, fans will have a lot of new action to chew on. However, until the movie is actually released, we won’t exactly know what to expect, such as how deep the movie will delve into the source material. While comic book movies are rarely direct adaptations of iconic storylines, there are usually certain moments lifted from the printed page adapted to fit within the big screen story. Since Suicide Squad is working off the group’s history from the 1980s to the New 52, there are plenty of moments to draw on from these different eras. These are the moments from both their classic and modern eras we hope Suicide Squad shows to its moviegoers. By doing so, they kill two birds with one stone: providing key details and action sequences to moviegoers and paying homage to the original stories. The arrangement between the villainous Suicide Squad recruits and the U.S. government is a simple one. If they can complete a set number of dangerous missions and survive, they’ll be given leniency of some kind. However, some of these criminals don’t want to cooperate, which is why Amanda Waller has taken extra precautions: having them implanted with micro bombs. If a member of the Squad tries to escape or in any way endanger the mission purposefully, she presses a button, and they go boom. No fuss, no muss. Waller will almost certainly have this contingency in place during the movie, but talk is cheap. We need to see this demonstrated on one of the expendable D-listers, like Diablo or Slipknot. (No offense, guys.) If one of them tries to cause trouble during the first or second mission, Waller will light them up with out blinking an eye to show that she’s not messing around. If you operate on the Squad, you play by her rules. Otherwise, you get lit up. During John Ostrander’s run on the Suicide Squad book, Captain Boomerang was without a doubt one of the team’s worst members. Although his skills with the throwing weapon occasionally came in handy, he was a constant annoyance to his teammates, and his need to look after himself first and foremost made him frequently undependable during operations. He even once let one of his teammates get killed when no one else was looking because they embarrassed him hours before, even though he could have easily saved or warned them. Frankly, it’s a wonder Rick Flag didn’t just shoot him on the spot. 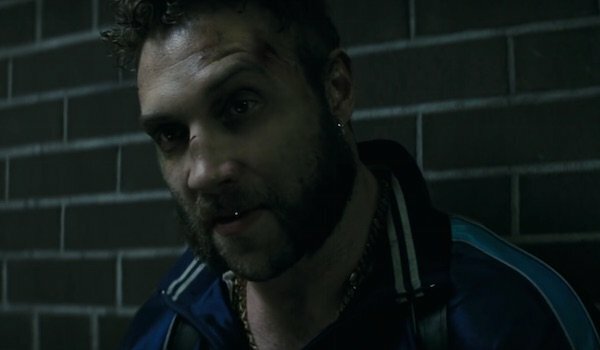 Jai Courtney said that director David Ayer told him to find his "inner shitbag" for the role, so it sounds like the DCEU Boomerang will be just as unsavory as he was on the printed page. It’s highly unlikely he’ll be able to get away with as much as his comic counterpart did, but it would be nice to see him screw up the Squad’s mission, whether it’s leaving one of his teammates out to dry or trying to incite an incident. Just don’t kill him off. We may want to save him for an appearance in the Flash movie. While not a moment involving the Squad itself, the reason for Harley Quinn’s New 52 look was shown within the pages of the Suicide Squad book, so it would make sense to see it in the movie. In the pre-New 52 universe, Harley looked like a regular person, only putting on white makeup when wearing her red and blue jester outfit. That’s not the case in the New 52. Just like in her original origin, Harley was seduced and corrupted by The Joker, but the Clown Prince of Crime also threw her into the same vat of chemicals that he was knocked into by Batman. This dip had the same effect on her it did on him: coloring her hair and bleaching her skin white. 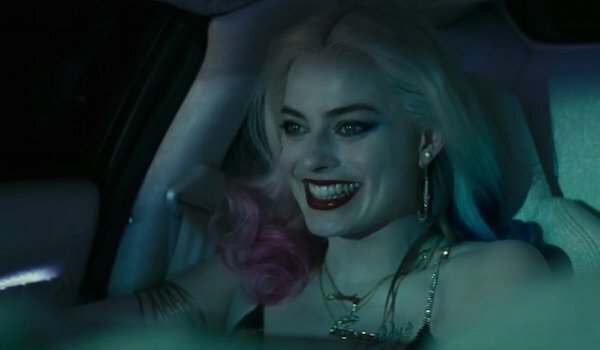 We’ll see Harley interacting with Joker back when she was Doctor Harleen Quinzel in the movie, and at some point he’ll capture her and possibly torture her into insanity. It would make sense showing her getting thrown into the chemicals, and if they really want to make that moment look cool, they could overlay it with flashback shots of Joker himself falling in all those years back. One of the things that distinguishes Floyd Lawton from other assassins is his death wish. It’s ironic that the man who makes a living killing people wants to desperately die himself. Although he’ll never outright commit suicide, he deliberately puts himself in dangerous situations that will likely kill him, fighting for survival until the end. The snag with this is it looks like Deadshot’s daughter is in the DCEU, but this can be worked around. Maybe Floyd tried to do his best as a parent, but it didn’t work out. Following his "recruitment" into the Suicide Squad, maybe he believes he’s better off sending whatever he earns from the government to his daughter, helping her out from afar rather than personally. That was how the character was handled on Arrow. Meanwhile, he’s still endangering himself on missions, and in Suicide Squad, there needs to be a moment where the audience sees that Deadshot is more than just a guy with good aim and a lot of firepower. He’s someone who wants to move onto the great beyond (even if his teammates don’t share this goal), but will fight his hardest until the end. Batman has dedicated his life to fighting crime and locking evildoers away so they can’t hurt anyone else…until they escape again, of course. So when he found out in the Suicide Squad that the government is using these same criminals to do their dirty work, he understandably became very angry. This led to a tense showdown between the Bat and Amanda Waller, and Waller was able to accomplish something few have done: blackmail Batman into backing off. A similar encounter occurred in Batman: Assault on Arkham, and we’re hoping Batman will express his displeasure with her operation in the movie. 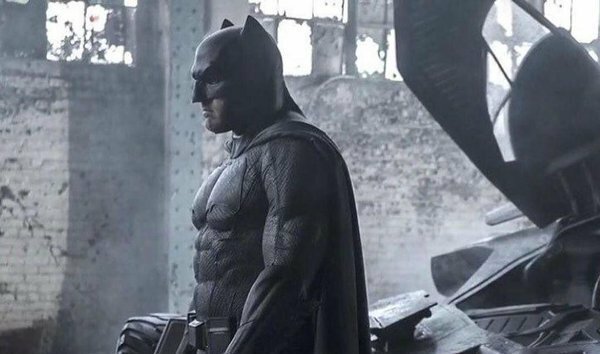 All we know for certain about Batman’s role in Suicide Squad at this point is he’ll be chasing down The Joker and Harley Quinn, but it’s likely he’ll be up to more than just that. 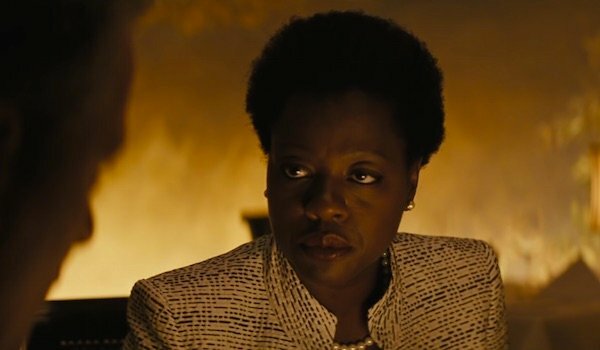 It was rumored last year that Batman will pay Amanda Waller a visit to voice his concerns, and we certainly hope this happens. What’s equally important is that we see Waller standing her ground with the Caped Crusader. She may not wear a mask, but she’s tough enough to dish threats back to the shadowy vigilante. A group of supervillains running around on black ops missions, both domestically and internationally, can only stay secret for so long. Eventually they’re bound to get noticed, which is exactly what happened in the comics. 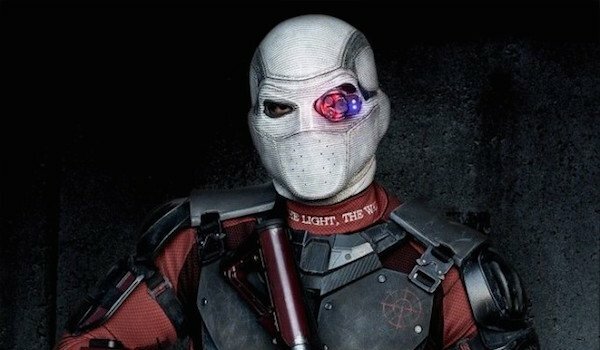 The team was exposed after a note left by a politician who had it in for the Squad was discovered by the police after his murder (courtesy of Deadshot). With their existence known to the public, the team was forced to rebrand, and it changed the way they operated for years to come. It’s doubtful their exposure will occur the same way in the movie, but it still needs to happen. Whoever the main antagonist is in Suicide Squad (right now it appears to be Enchantress), one would imagine the Squad’s battle with said antagonist will result in a lot of property damage and explosions, and that can’t be swept under the rug. True, the government uses the Squad as scapegoats in case anything goes wrong, but even so, it’s hard to imagine that the public won’t eventually get wind of what they're really about. (Maybe Batman does it himself). 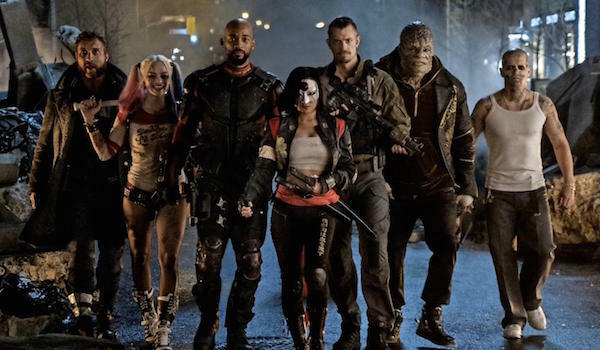 Of course, if the movie performs successfully, Suicide Squad 2 will no doubt be put into development, so by the end of the story, there will need to be an explanation for how the team can continue to operate. Which Suicide Squad Moment Do You Really Want To See?